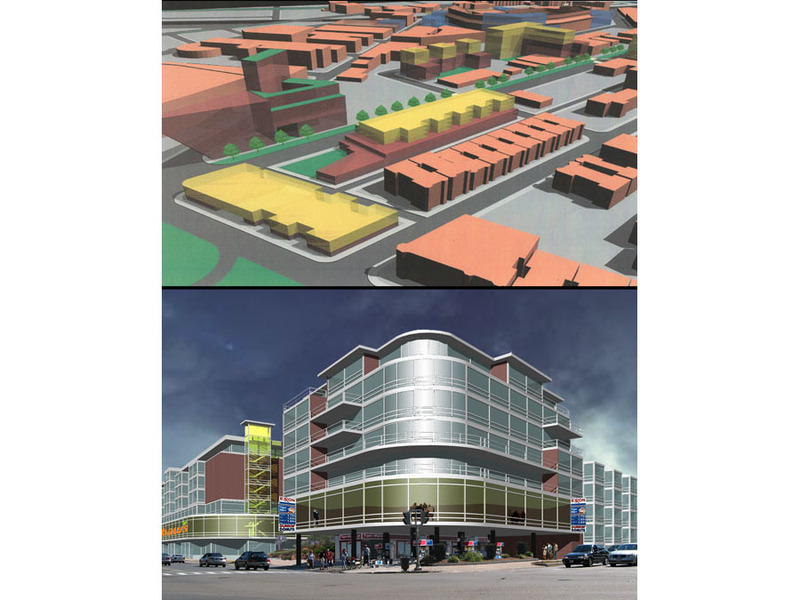 A community-organized charrette inspired the design for this mixed-use project. Neighborhood residents envisioned a greener, more pedestrian-friendly district with mixed-income housing and a variety of commercial, recreational, and institutional uses. 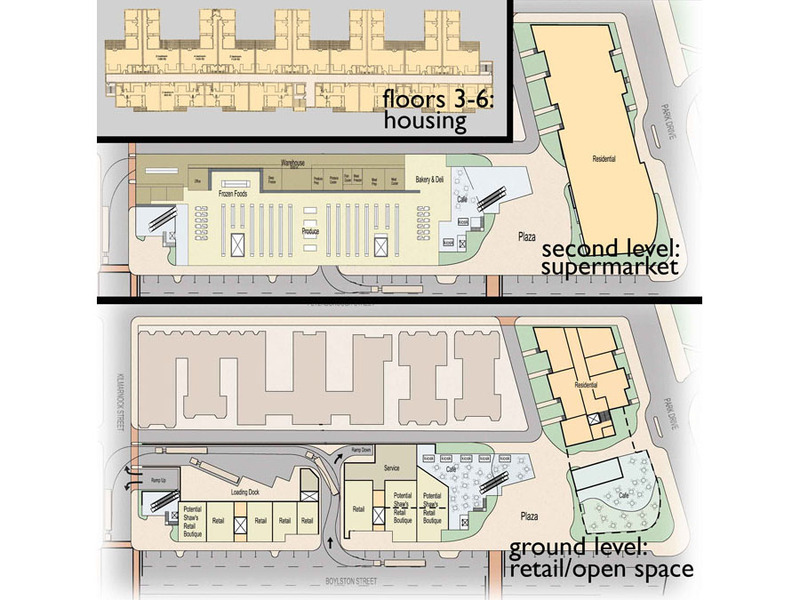 The charrette design team responded to the community’s vision by proposing a pair of hybrid buildings that include underground parking, ground-floor retail, second-floor supermarket, third-floor health clinic, and mixed-income housing, all sharing an urban plaza. Architectural Collaborator: Next Phase Studio, Inc. 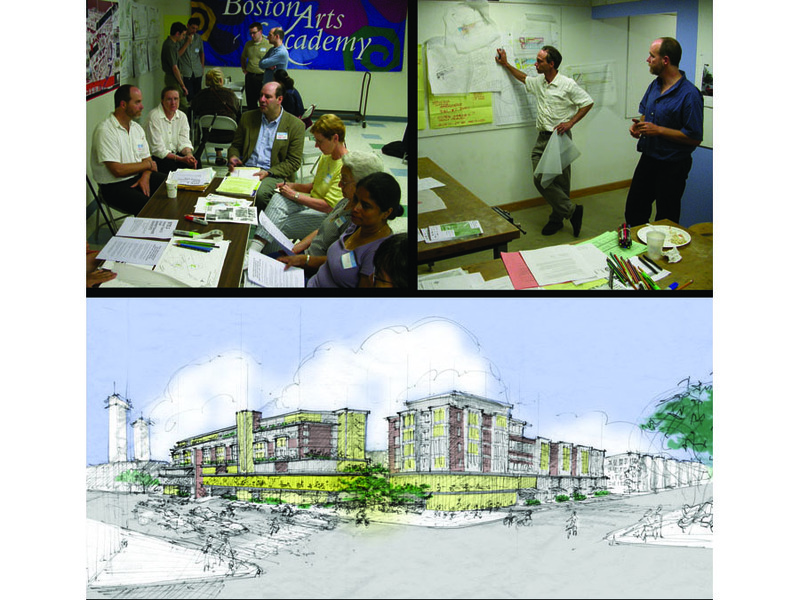 Developer: Fenway Community Development Corp.